It is Mavic PRO (Mavic Pro) who always praises this time, but since I realized that there are some weaknesses when I actually use it, I would like to share it. Let’s see it soon! It is! Well this is a part that you can understand, but if you do not actually have a base in the drone body, it will bother you at the time of flight depending on the road conditions. In the sandbox or the like, because the sand is rolled up by the rotation of the propeller, there is a possibility that the drone main body becomes dirty or sand is bitten into the gaps between the parts. I use it myself, but we sell some parts that will increase the car height of the Mavic PRO (Mavic Pro) body by 3 cm, but since the propeller itself winds up the sand, if you can prepare a heliport It might be better to prepare. Also, as there is no handle part, hand catching becomes quite difficult, so landing from “on ship” etc. is also quite difficult. Because the handle part of the phantom increases the capacity of the drone body, it is bulky as a package, but you can see that the mediocrity is quite high in order to fly with confidence in various environments. Drone’s body weight is light, so it can be weak against the wind. Well then it is not easy to say that the drones will crash soon as soon as they are weak against the wind. 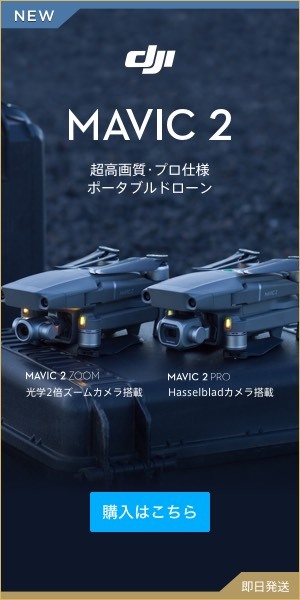 Mavic PRO (Mavic Pro) itself becomes a very stable aircraft like I previously posted articles. What is the problem is that the weight of the aircraft is light and the power is also inferior compared to phantom, inspire, etc, so that when you make a drone flight and return it, there is a danger that you can not come back if the headwind is strong. To give a bad example, when letting the drone flight from the coast and returning it, if you have a strong wind from the coast, no matter how much you want to return the drone you can not come back, eventually draining out of the battery That means that! This is quite a problem. If you are watching a video on youtube, the approximate standard is to avoid Mavic PRO (Mavic Pro) flight in an environment with wind speed of 10 m / s or more. In this video, you can skip the Mavic PRO (Mavic Pro) in the gale and you can not get back to the home point, it will be a video that caused you to make a mistake and make it malfunction. It is quite happy, but it may have been fortunate that it was only with the failure of the drones themselves. Also, since the wind speed is different between the ground and the sky, I think that the sense of neighborhood is required to have a handling experience of drone as it is. For those who are beginners, I think whether it is better to avoid flights when the wind speed is 5 m / s or more. In this movie we are flying relatively stable even though it seems to be over 10 m / s in wind speed. To Chiba's first large outdoor airfield "HATA Dronefield Chiba"! I saw Mr. Todo, a professional pilot who took care of me when I started drone! Phantom4advance is recommended by Mavic PRO for the second person to unsatisfied people!